Those who were following the blog comments over the past weekend were treated to a display of narcissism so outsize as to astound nearly everyone who observed it. I am talking about a series of comments made by a homebirth mother who tried to convince us that her baby chose to die. And, if that’s not bad enough, her baby chose to die as a gift to her. I wrote about the homebirth death nearly a year ago (Sure my baby died, but look at the benefits to me). Apparently the mother found the post a few weeks ago and has been writing about it on her own blog. I was aware of the mother’s blog posts and I was aware of her post on Mothering.com soliciting support. I did not comment in either place, but then she came here looking for support. Although the mother deleted her original comment, most of it can still be found on her own website. She was initially ambivalent about this pregnancy, because her first child has cystic fibrosis and she knew she was at risk for having another child with CF. However, she took no steps to determine if the baby was affected. Moreover, despite knowing that her baby might need extra help at birth, she decided to give birth at home with a direct entry midwife. Babies with CF are almost always born without any sign of CF. Her baby’s death at home was the result of lack of oxygen during labor, and the midwife’s inability to perform an expert resuscitation. Fast forward 9 months, Joseph is born, at home and is not breathing… Here is what happened as far as we can tell: he pinched off his umbilical cord with his own hand during the final minutes of delivery. This in and of itself is HIGHLY symbolic for me and my family. It was not an “accident” that killed him, he LITERALLY cut off his own air supply. Claiming that the baby could cut off his air supply by squeezing the umbilical cord makes as much sense as claiming that a baby cut off his air supply by squeezing his own neck. No baby is strong enough to do that, and, even if he were strong enough, he would pass out and drop the cord. As I have written many times in the past, homebirth is a piece of performance art with the mother as the star of the production. Everyone else, including the baby, is a bit player. Going so far as to claim that the baby’s death is just a particularly extreme example of regarding the baby as nothing more than a prop, but narcissism lurks at the heart of most homebirths. Homebirth advocates typically refer to the birth as “my” birth, “my” healing journey an “my” triumph (“I did it”). 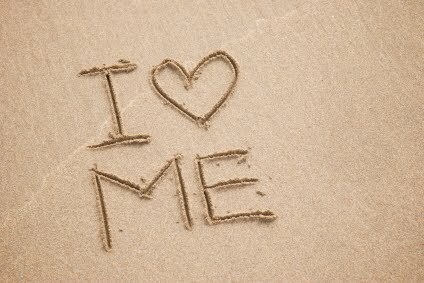 Intuition, and birth affirmations, are forms of narcissistic expression. Only a narcissist believes that her thoughts have the power to control outcomes. It takes a certain level of narcissism to believe that you know more about childbirth than the professionals who have spent 8 postgraduate years studying and practicing obstetrics. It takes a certain level of narcissism to pretend that you can acquire the relevant information by reading internet blogs and publications written by other lay people. Homebirths are invariably displayed. Although homebirth advocates pretend that the rationale for homebirth is to have a private, spiritual experience, they tape it and post it on YouTube for any stranger to watch. Some homebirth advocates are so narcissistic that they demand attention in real time. Hence live-tweeting, live-blogging and live-video feeds of homebirths. In their narcissism, those who display their homebirths to strangers fantasize that they are doing so for the benefit of others; they are “educating” them about what a natural birth looks like, as if births in nature took place in inflatable kiddie pools with state of the art video equipment recording them. Claiming that some babies are meant to die is narcissism in its purest form. It’s a way of shedding responsibility in advance for not doing everything possible to prevent a death, and shedding responsibility in the aftermath of a death by pretending that nothing could have been done to change the outcome. The baby exists only as a bit player whose own needs, even the need for oxygen, can blithely be ignored. Ultimately, homebirth is about the mother, her feelings, her experience, the way that she would like to view herself. The baby is nothing more than a prop. Of course most women can be jolted out of their narcissistic complacency if the baby dies. But apparently not everyone. Occasionally there is a case of narcissism so severe that the mother actually thinks the baby died as a favor to her. It is my fervent hope that this mother seek professional psychological help to process this tragedy, both for her own sake, and for the sake of her husband and surviving child. With therapy she may be able to see beyond her own needs to the fact that others are people with needs, needs that ought to be acknowledged and respected.